Summer is here, which of course, means it’s time to take a break from reality and gather your friends for a weekend getaway. Still trying to decide on the ideal location? Look no further than Decatur, Alabama. 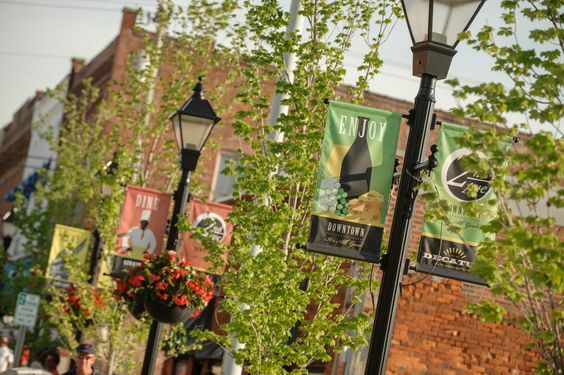 Nestled along the Tennessee River, Decatur is a Southern oasis perfectly tailored to host a weekend full of activities for both sexes. No matter what your group is into, this charming city has the total package. You will love the quality time with your ladies and feel like a million bucks while experiencing all that Decatur has to offer. 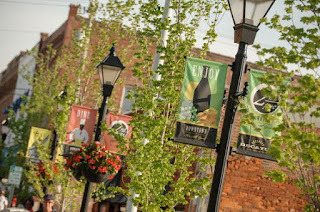 Spend some time strolling the tree-lined streets of Decatur’s historic shopping district and explore the specialty shops offering a variety of eclectic items. You will surely find something to boost your wardrobe at Indigo’s and other unique boutiques found in the historic downtown Decatur and Hartselle shopping districts. In search of completely unique home décor? Kathleen’s Interiors in downtown Decatur has an incredible selection original furniture and artwork you never knew you always needed in your home! If your crew is craving some fun in the sun, reconnect with your inner child at America’s first wave pool at Point Mallard Park. Relax in a float as you improve your summer tan and let the waves rock your worries away. When you need a break from that scorching heat, spend an afternoon in cushy robes with cucumber-covered eyes, and unwind with the girls in Decatur’s most exclusive day spa, deLoain. Pamper yourself with a relaxing pedicure or massage or renew your skin with a refreshing facial. After a day of leisure, you’ve probably worked up quite the appetite! Round up the crew and head to Simp McGhee’s for fine dining spiced up with a Cajun twist! This storied local downtown dining hub boasts a tapas menu with shareable bites like the Crystal Shrimp Martini, dinner mains such as the creamy, garlicky Speegle, and the housemade fave speciality cocktail the Bank Street Tea. If you’re looking for a more casual dining option, check out Hard Dock, located right on the Tennessee River, and enjoy a beautiful Alabama sunset while listening to live music, sipping cocktails, and eating delicious seafood on the outdoor patio. Plan an outdoor-fueled guys’ weekend by taking advantage of the Decatur’s many recreational activities. For the fishing enthusiasts, Wheeler Lake offers top-notch waters for dropping a line. Rife with bass and catfish, you’re bound to get a bite on this top-notch local fishery. Enjoy a peaceful day on the water... until you and your buddies start trying to decide who had the bigger catch! If golfing is more your competitive speed, Point Mallard’s course is a great option for teeing up. With 200 acres of wooded flatlands right on the Tennessee River this scenic course is one to experience. It is open to the public and only $26 for an 18-hole round. For a more leisurely day, head to historic Decatur to take a trip back in time with the self-guided Civil War walking tour. Beginning at the Old State Bank building, the thirteen-block walk chronicles events surrounding the four-day 1864 Battle of Decatur. History buffs will also enjoy the Blue and Gray Museum at 723 Bank Street, which is home to what is believed to be the largest collection of Civil War artifacts in the country. Everyone knows any manly weekend isn’t complete without beer and meat. Moe’s BBQ provides a laid-back setting with live music, some of Alabama’s most beloved wings and a beer selection to meet all needs. The Railyard is another favorite with area beers on tap and a local farm and produce-based selection of mouth-watering Southern influenced dishes. Dine on roasted quail, venison and pork meatloaf, prime rib, or lamb shank—this menu leaves no meat behind! After you’ve delighted in dining, dancing, and live music at Decatur’s various venues like The Hard Dock, The Brick, and the historic Princess Theatre, your crew will want a cozy place to call it a night. Whether your group prefers comfy hotel beds and continental breakfasts or sleeping under the stars, Decatur has options for every style of respite at every single price point. The Point Mallard campgrounds have 210 shaded camp sites over 25 wooded acres. Waste no time in finding your ideal spot and getting right to the many activities in Point Mallard Park that are walking distance to the grounds! If WiFi and room service are necessities, the Decatur Riverfront DoubleTree has you covered. They offer a variety of amenities including an indoor/outdoor pool and fitness center. No worries if you need to use those Marriott points—Decatur has a lovely Courtyard Marriott as well! In addition, the newly opened Home2 at Ingalls Harbor has an array of posh rooms perfect for crashing hard at the end of all your distinctly Decatur adventures! However you choose to design your weekend in Decatur, your friends are sure to love you for it! For more information on Decatur’s many attractions and lodging options visit decaturcvb.org or call 800-524-6181.